Figs. 26 to 32. 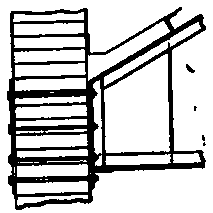 Typical Wail Anchorages for Roof Trusses. Fig. 30 shows the end of the truss built into the wall, the angle clips serving as anchors. Fig. 31 shows the method of anchoring a beam built into the wall; the length of the rod should equal the width of the beam flange plus 6 ins. Fig. 32 shows the manner of anchoring channel beam wall struts. The anchor bolts should be spaced about 3 ft. apart. If the struts are to be anchored to a wall already built the bolts should be run through the wall with washers on the outside, or expansion bolts may be used. Narrow doors may be made without center styles and wide doors should have two or more spaced from 3 ft. to 6 ft. apart. The rails and styles should be halved together, and they and the diagonals also should have a 7/8-in. 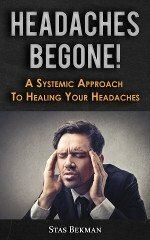 chamfer; the sheathings should be screwed on. Fig. 33 shows a door of the construction described. Tables X. and XI. give the proper sizes of material and hardware for doors of different sizes. Fig. 33. Construction for Narrow DooRs. Table X. Showing Proper Sizes of Material for Doors up to 14 x 20 ft. in Size. Figs. 34 to 36. Details for Side Window in Brick and Iron Frame Walls. Table XI. 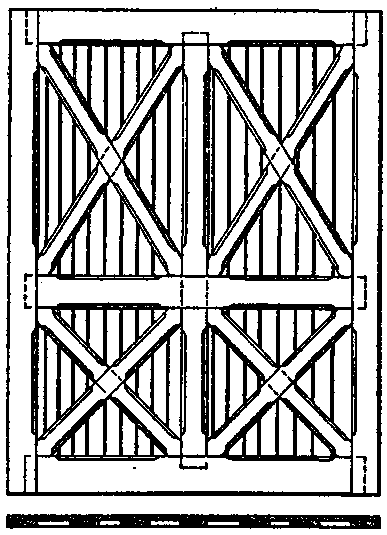 Showing Dimensions of Hinges and Appurtenances for Doors of Different Sizes. 3 x 6 or less..
3 x 8 to 4 x 10. Figs. 35 and 36 shows details of window construction in the side wall of an iron frame building covered with corrugated iron. Height, in ft., above ground. Details of a monitor roof ventilator with louvres are shown by Fig. 38. Fig. 39 shows details of a monitor roof ventilator with hinged flat iron shutters. These details are for a shutter 8 ft. long. Ordinarily, shutters should be made 6, 7, 8, 9 or 10 ft. long, but intermediate lengths may be used if necessary. The width of the shutters should be the same for all lengths. The shutters may be either of black iron or galvanizd iron. If galvanized iron is used all covering and flashing for the ventilator roof, sides and ends, and all bolts, clips, clinch rivets or other fastenings, any part of which shows on the outside of the covering or finishing, should also be galvanized. Fig. 40 shows a monitor roof ventilator with fixed sash and all iron framing, and Fig. 41 shows a similar construction with movable sash. Figs. 42 and 43 show monitor roof ventilators with fixed and swing sash, respectively, all wood framing. Fig. 44 shows a skylight on roof of monitor made of translucent fabric. It should be noted that the roofing sheets run lengthwise of the building and are 6 ft. 3 ins. x 3 ft. 3 ins. in size. This size of sheet should be used whenever possible, although sheets may be readily cut to smaller sizes. The width of the lap should be 2 ins. and both edges should be securely fastened. For fastening the fabric wire nails 1 1/4-in. long, or 3d nails, should be used; the amount required being 1 1/4 lbs. per 100 ft. of seam. 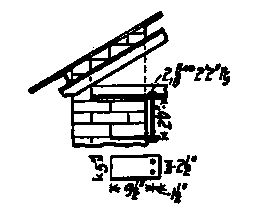 Lap joints or lock joints can be used for all seams, but capped joints can be used only for seams running in the direction of the roof slope. Fig. 38. Monitor Roof Ventilator with Louvres. Fig. 39. Monitor Roof Ventilators with Hinged Flat Iron Shutters. Fig. 40. Montior Roof Ventilator with Fixed Sash. Fig,. 41. Monitor Roof Ventilator with Movable Sash. Figs. 42 and 43. Monitor Roof Ventilators with All-Wood Framing. Fig. 44. Monitor Roof Skylight of Translucent Fabric. Fig. 45. Single and Double Gutters. Fig. 46. Types of Fixed and Hanging Gutters. 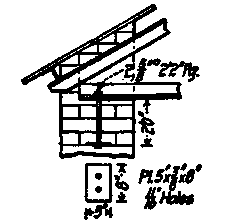 For Hanging Gutters, Pinch 5/8' Holrs in Purtin to take Hangers, out Edge of Gutter must not Extend above Roof plarne prolonged Hanging Gutter Berger's Patent Adjustable hanger. Hanging Gutters "D.B" Adjustable Strap Hamger. The slope of gutters should be at least 1 ft. in 50 ft. When the length of the roof overruns the spacing more than 10 ft. an extra down spout should be put on. Fig. 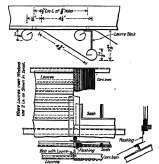 45 shows details of single and double gutters with both angle and channel purlin connections, and Fig. 46 shows different forms of hanging and box gutters. Regarding hanging gutters it may be noted that ordinarily gutters should slope 1 in. in 15 ft. A 6-in. gutter takes a 4-in. leader and will drain about 3,000 sq. ft. of horizontal surface. A 4-in. gutter will take a 3-in. leader and will drain about 1,700 sq. ft. of horizontal surface. Hangers for hanging gutters should be spaced about 2 ft. 6 ins. apart.